Commemorate and recognize your American hero in a timeless American Moments frame, crafted in solid hardwood with an elegant cherry finish. 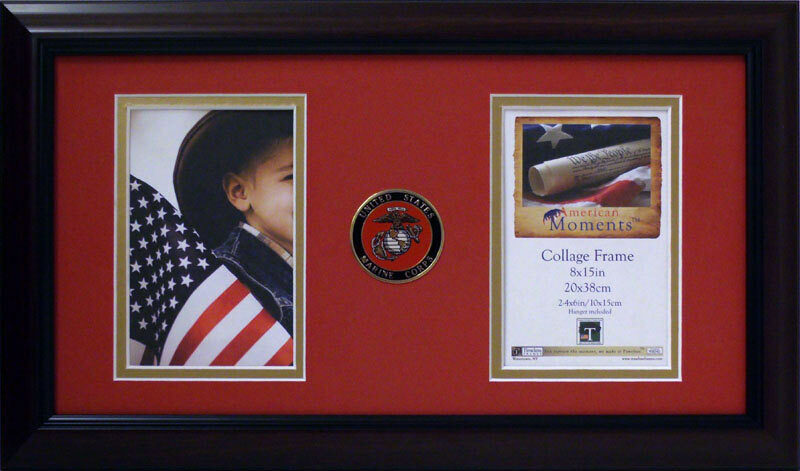 Frame includes a Marine Corp gold-plated medallion and 2 - 4x6 openings. This frame is made of Solid Wood.